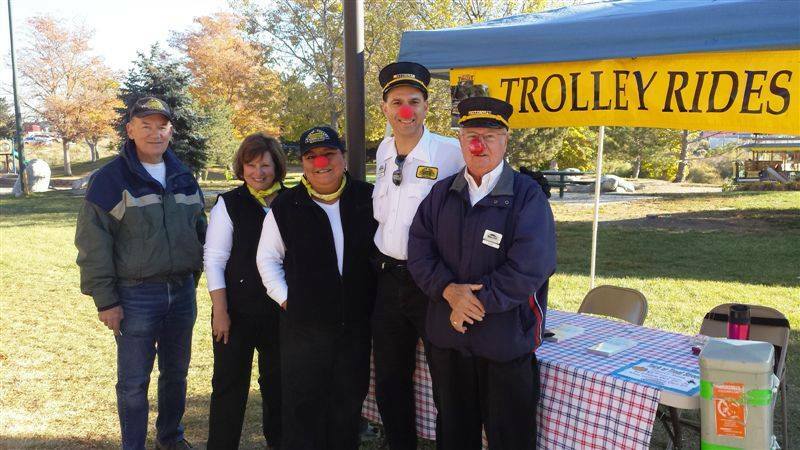 Click here for complete details about our seasonal trolley staff positions. Training begins in early May. ​Submit your cover letter and resume today. ​The Denver Trolley's 2019 season begins on Thursday, May 23 and lasts through Monday, September 2. Click here to read about volunteering on the Trolley. The Denver Trolley depends on volunteers to keep the Trolley rolling each year. Are you interested in learning about volunteering with the Denver Trolley? See the Trolley on 9News! Read about the Trolley in the Denver Post. You can help keep Denver’s electric transit history alive by becoming a member and a volunteer. Click here for more details and like us on Facebook and follow us on Twitter for the most up-to-date information. 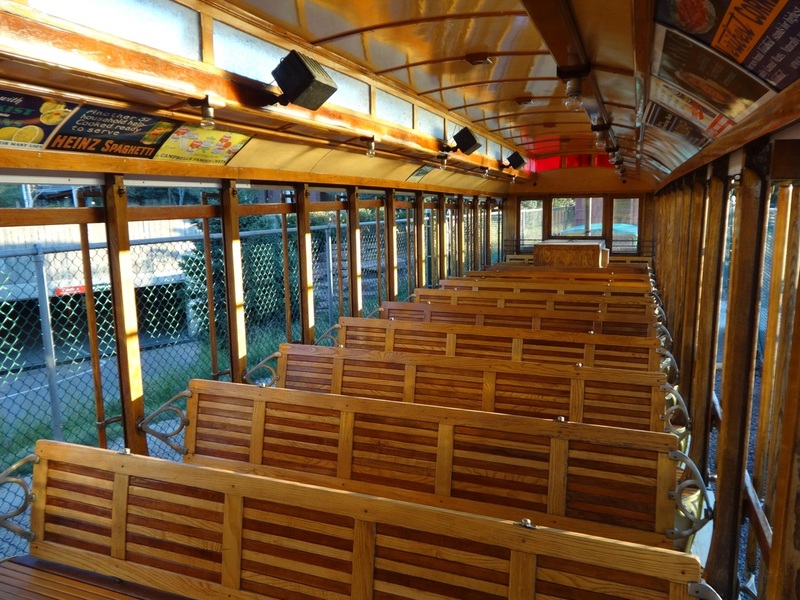 Ride into history with the Denver Trolley! 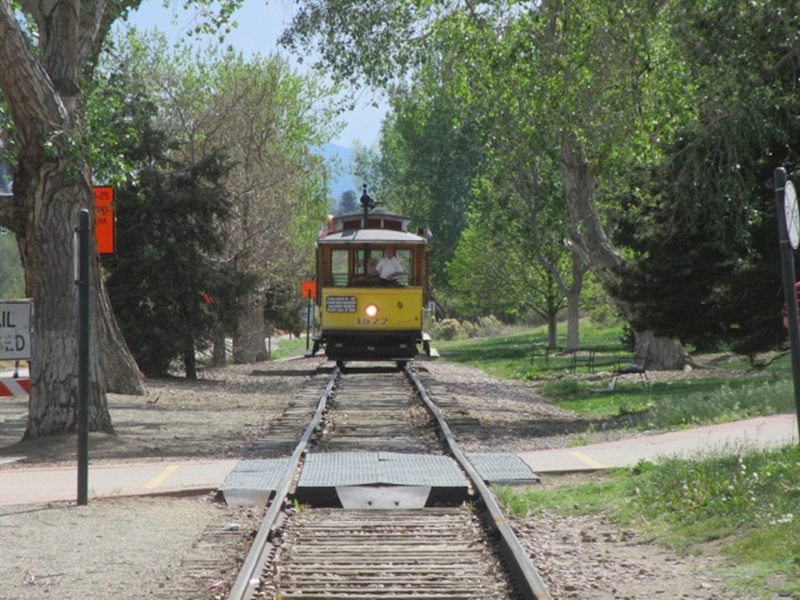 Ride an open trolley car along the scenic South Platte Greenway and see Denver from an open-air “Breezer”! 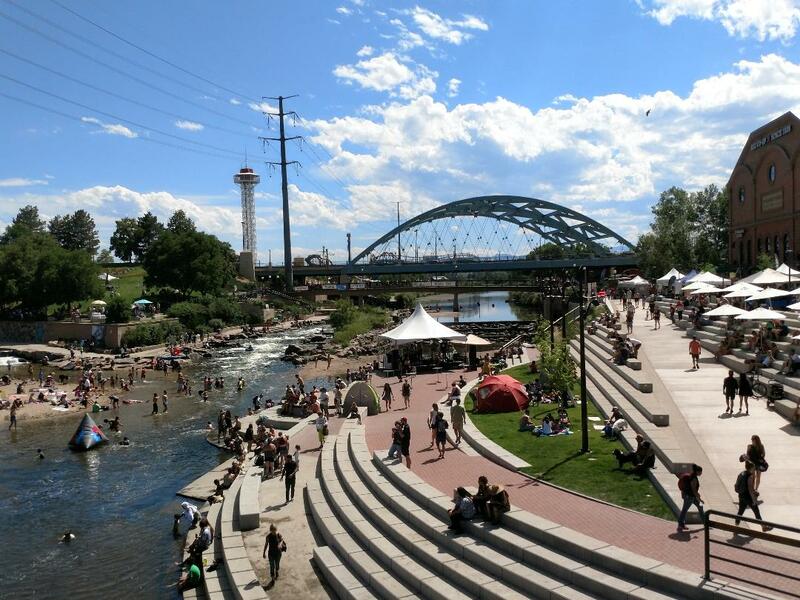 Our Trolley operates from Confluence Park (REI), past the Downtown Aquarium, Children’s Museum of Denver, and Mile High Stadium. Our operators are very knowledgeable about the history of the area in which we operate and delight in relating some interesting facts which even some of the locals don’t know. 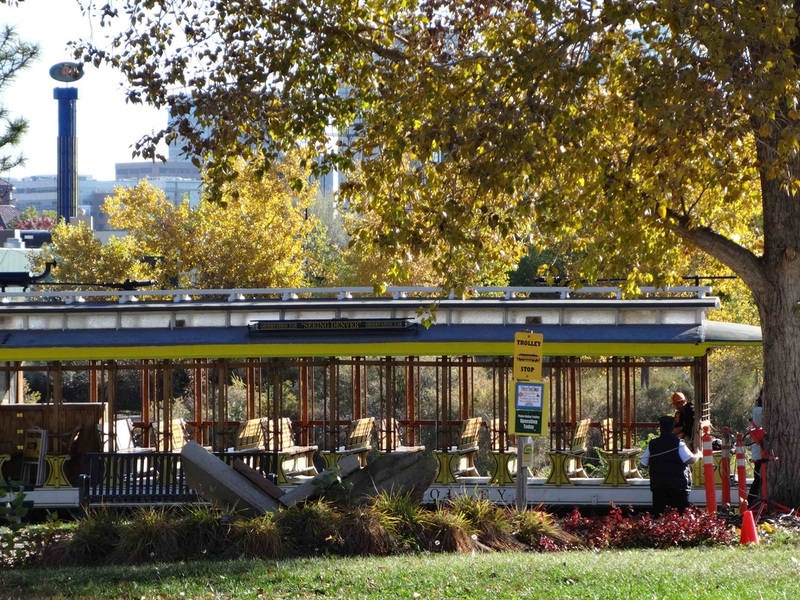 Where can you go and what can you see and do on the Denver Trolley? Join us for an enjoyable ride back in time before the Interstate and jet planes, back to the time when Grandma was a girl being courted by Grandpa as they took a ride on a Breezer! As our Trolley is an open-air “Breezer,” weather is a factor and we may not operate should the weather be unfavorable. If you would like to join the Denver Tramway Heritage Society, fill out and mail us your membership application. 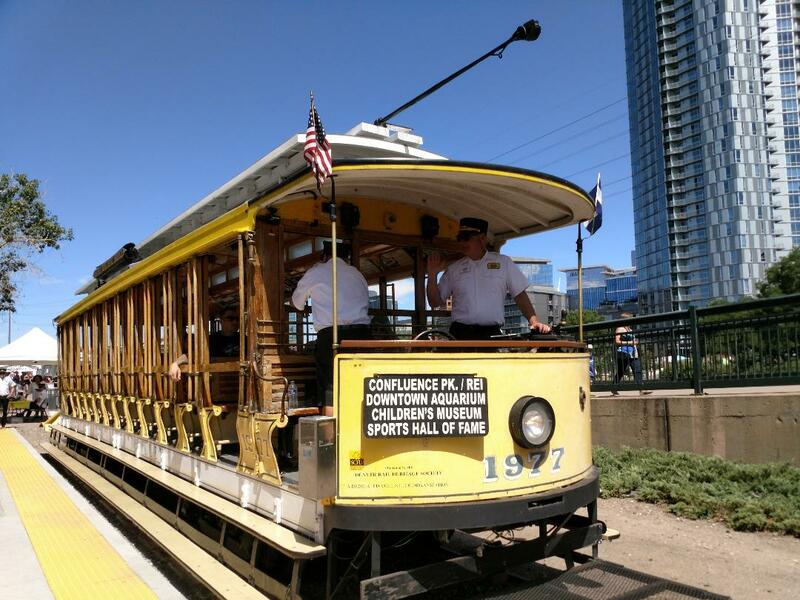 If you live in the Denver area and would like to learn to operate our Trolley, call the office, e-mail us, or contact our volunteer coordinator and we will set up a training day for you. Volunteers act as ambassadors to the city of Denver, taking visitors on a tour back into the history of the city and providing a window into how Denver came to be the growing city it is today. It’s really fun…join us! This is a photo of the original Denver Tramways sightseeing car sitting in front of the famous Brown Place Hotel. 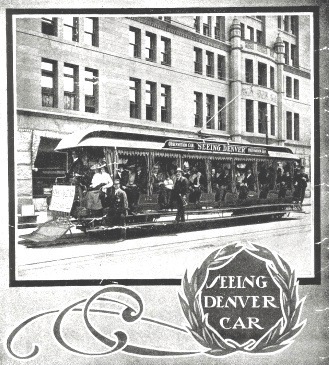 The picture was taken about 1906 and was used on the cover of sheet music entitled “Seeing Denver.” The fare back then was 50 cents for a two-hour/25-mile trip. While we cannot duplicate the original route, our “Breezer” proudly carries on the same tradition — come ride with us! 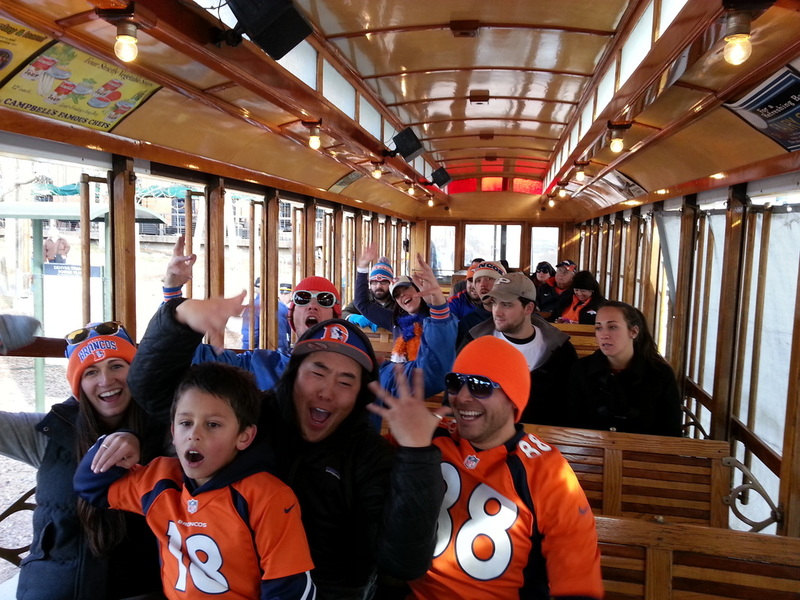 Buy Trolley Tickets to Broncos Games Here! Going to the Denver Broncos game at Broncos Stadium at Mile High? Start downtown and take the Trolley to the game! We depart from Confluence Park station (behind REI, at approximately 1400 Platte Street), starting two hours before kickoff to take you to Broncos Bridge, at the doorstep of the stadium! Then we start return trips from the stadium at the start of the fourth quarter (until 45 minutes after the game ends). The fare for the Trolley to the game is $7.00 for a roundtrip ticket (one-way fares are available on-site for $5.00 per person). Children three years old and younger ride free. Tickets purchased here are only valid for Trolley shuttles to the stadium on the specific date for which you have made the purchase. Avoid the stadium craziness and take the Trolley to the game...See you on the Trolley! Have you already filled your shopping cart? Starring ... the Denver Trolley! Check out the videos below and take a virtual ride on the Denver Trolley! 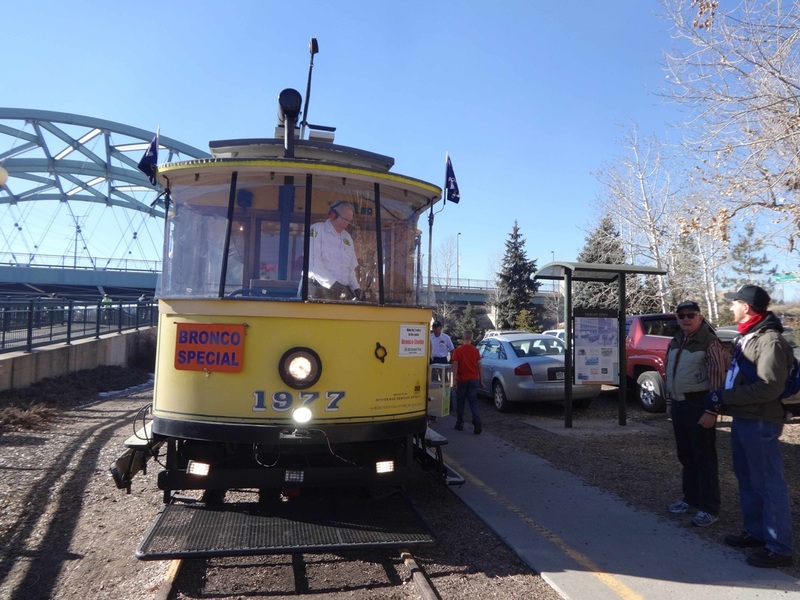 Check out this great piece about the Denver Trolley by Ernie Bjorkman at KWGN Channel 2! Click here to see the video and article on Telemundo Denver! THANK YOU for a WONDERFUL 2017 SEASON! Our 2017 season started on Memorial Day weekend and ended on Labor Day. Thank you for all of your support — through your visits, your donations, and your sharing of photos of the Trolley! 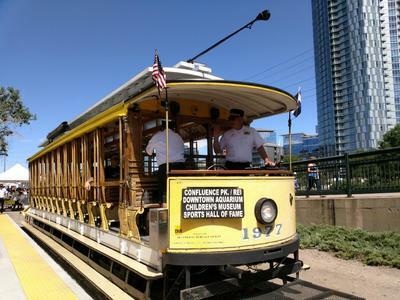 When you visit the Trolley, you take a ride back into the history of Denver, a special story about the development of what continues to be a growing, diverse, and exciting city. We will roll again in 2018! Come join us for a ride on the Trolley starting Thursday, May 31, 2018 --- bring friends, family, out-of-town visitors --- it's a ride that you won't forget! We also run for special events throughout and after the season. Check here for the latest information, as well as on Facebook (DenverTrolley) and on Twitter (@DenverTrolley). See you on the Trolley! The Denver Tramway Heritage Society receives important funding through the Scientific & Cultural Facilities District. Thank you to the SCFD, voters, and taxpayers!